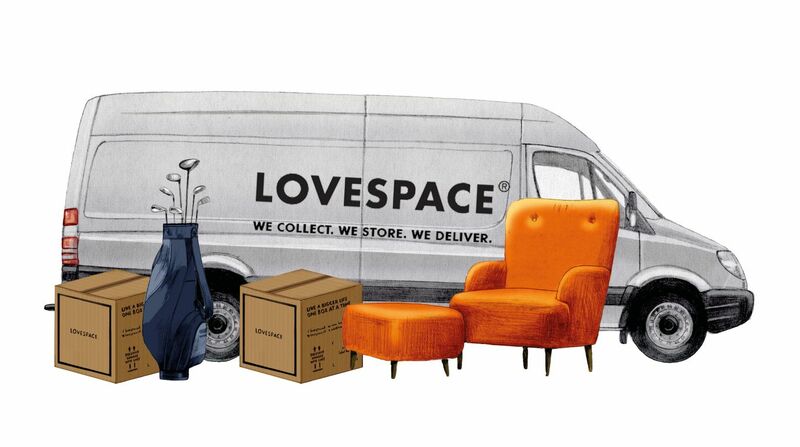 At LOVESPACE we want to encourage people to declutter and live a bigger life. Decluttering can improve our state of mind, make our homes happier and more productive, and it can save you money. In some cases, it is even making people money. We spoke to professional decluttering companies Carefully Sorted and SortMySpace Ltd for top tips on how to declutter and save. How much money do you think is hiding down the sides of your sofa, in random pots or on the floor around your home? Few quid? It could be much, much more than that. Liz Aitken and Julia Durand from Carefully Sorted have helped some clients find over £100 in change lying around by tidying and decluttering their homes. “One time, we found £350 in a little wallet tucked in the pocket of a suitcase. Because the client hadn’t unpacked and organised their things when they got back from the trip, the money stayed tucked in the suitcase in a pile of clutter. Mail and plastic bags stuffed into a cluttered drawer are another major culprit. One client found £500 mixed in with unopened post and junk mail. £500!”. Carefully Sorted recommend designated just one jar for spare change. Put it somewhere convenient so you can pop your money straight in the charge and reduce the chance of leaving it lying around. This should be emptied at regular intervals – many supermarkets have coin machines which will swap your change for notes for you. When your cupboards are in a mess it is often difficult to see what you have and therefore makes it likely that you will purchase more of things you don’t need when you go to the shops. Duplications wastes money; decluttering can save it. Regular offenders are things like dry foods and cleaning equipment. A number of my clients have bought items they could have sworn they bought recently but couldn’t find at home. And they had bought it recently, it just hadn’t been unpacked and put in the right place”. By knowing where everything’s place is, you can quickly unpack and avoid this happening. Think about the unused electrical you have lying around at home. That blender you swore you were going to start using. The foot spa you’ve not got around to using yet. These could sell for good money on eBay, Shpock or gumtree. Depop is another great platform for selling second hand clothing and accessories. When posting your items on these sites, make sure that the image is well-lit and the object is by a plain background. Ensure you take pictures of the item from all angles, and take pictures of any important labels or manuals. Give as much information as possible, and research how much other people are selling similar items for to get a sensible starting price. Finally, always leave feedback for your customers. If you leave them feedback, they are more likely to leave you some in return. And feedback is really helpful to build credibility on your site and make more sales. If you aren’t one for writing shopping lists, you can use your phone to take pictures of what you have before you go shopping. Katherine recommends that if you are going food shopping, you should take a picture of your fridge and cupboards. If you are hitting the clothes sales, take a picture of what is in your wardrobe. The more organised and less cluttered the wardrobes and cupboards are, the easier it is to see what we already have. More often than not, we end up buying things on a whim that are almost identical to something we already own. This is a great way to reduce the chance of this happening. Because let’s be honest, you don’t need to spend money on ANOTHER black cardigan. Get decluttering and start saving now. We would love to hear your stories on how decluttering has saved or earned you money. Please tweet us at @lovespaceuk or like us on Facebook @lovespaceuk and let us know your stories and tips. If you are looking for a professional decluttering and organising service to help, we recommend Carefully Sorted and SortMySpace Ltd.